Do I need an attorney for my AR Workers’ Compensation claim? Insurance companies typically enjoy superior bargaining power over injured workers in Workers’ Compensation claims. This is primarily due to the fact that they are familiar with AR Workers’ Compensation Law – and injured employees often are not. Insurance companies have attorneys to represent them and their best interests. Why shouldn’t you? Why should I choose Hart Law over another law firm? 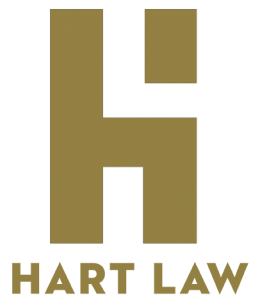 At Hart Law, we’re focused on Workers’ Compensation Law and helping injured workers get the benefits they deserve. Unlike other firms, many of which have multiple areas of practice, our priority is helping AR Workers’ Compensation claimants. More importantly, we don’t use a cookie-cutter approach in the Workers’ Comp claims process. You see, we believe that each and every injury is as unique as the person who suffered it. And we approach every claim with all of our heart, soul and strength, using 25 years of experience to maximize your claim. We’ve been doing this really well, for many years. We get questions like this almost every day, which is only natural, right? You’d like to know how much your settlement might be for a back, knee, or shoulder injury before you go down that road. Well, we’ve been down that road many times and have been valuing AR Workers’ Comp claims, for settlement and other purposes, for a very long time. It’s a complex process that requires a great deal of experience and skill, because it involves analyzing the age, education and background of each individual client; along with the benefits potentially available in any given workers’ comp claim, including temporary disability, permanent disability, wage loss disability, vocational retraining and future medical care. As the AR Workers’ Compensation claims process goes, some of this information is more readily available after the claim has been worked up legally and an employee is nearing the end of his or her healing period. At Hart Law, we don’t believe in artificially inflating the potential value of your claim through puffery, simply to get you as a client. We give you honest answers to questions about your case, using a combination of known information, probable legal outcomes and years of experience in the field. Is it possible for my claim to be settled for a lump sum of money, without having to litigate the case in court? Yes. Thousands of AR Workers’ Compensation claims are settled each year and, if appropriate, we can assist in negotiating a favorable settlement of your claim for a lump sum of money, payable to you. However, we will not hesitate to take your claim to trial, if that’s what it takes to get you the benefits you deserve. We fight tough against insurance companies, every day. What benefits am I entitled to receive in an AR Workers’ Compensation claim? Depending upon the nature and extent of your work injury, you may be entitled to receive, among other things, medical expenses; benefits to compensate you for time lost at work; benefits to compensate you for a permanent impairment; benefits to compensate you for a loss of earning capacity; and/or vocational rehabilitation. You may even be entitled to the payment of permanent total disability benefits for life. Call us, and we’ll be happy to evaluate your case, at no charge, in order to determine whether or not the insurance company is actually paying what they owe. How long will my case stay open? The statute of limitations in a Workers’ Compensation case generally expires two years from the date of your injury, or one year from the date that benefits are last paid, whichever is longer. After this time, you may be legally barred from making a claim for additional benefits before the Arkansas Workers’ Compensation Commission. It’s really simple. We’re only paid a fee if we collect money for you—either through settlement, or by asking a judge to force an insurance company to pay benefits it has wrongfully denied. It’s also important to know that the fees in Workers’ Compensation cases are governed and set by state law at 12.5% from the injured worker, out of any settlement or award we get for our clients. There are no “up front” charges for our legal services. Unless we win your case, or settle it, we don’t get paid. If I call about my claim, will I have the opportunity to speak with an actual AR injury lawyer? A: Absolutely! You can talk to an AR injury lawyer about your claim with no obligations! At Hart Law we really enjoy talking to our clients and potential clients and we’d be privileged to have the opportunity to visit with you.